This phrase means so much to us at CBC. Every member our school community is passionate about preparing young men from all backgrounds for their future, while introducing every student a brotherhood that will last a lifetime. Learn more about what it means to become a Man For Tomorrow in the videos posted HERE. Students accepted into the Class of 2023 will receive a letter in the mail and, if you have provided us with your contact information, you will also receive notification by email and text today. 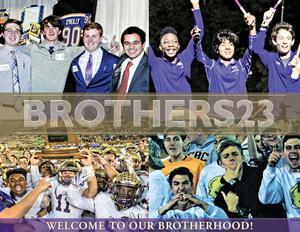 If you have any questions, please contact Drew Crump '11 of our Admissions team at (314) 985-6063 or crumpd@cbchs.org.